She's giving Queen B a run for her money. 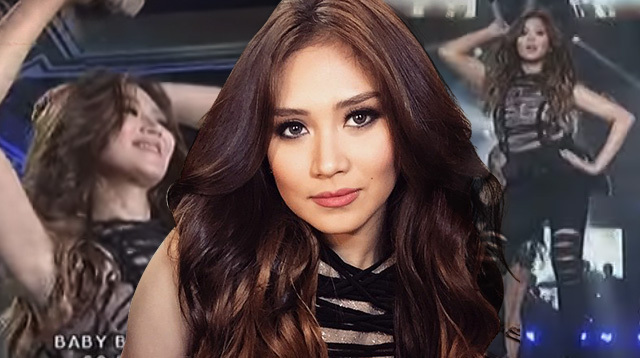 So here’s a sight you don’t see often: Sarah Geronimo shakin' some major booty and seductively gyrating while singing Beyonce’s "Baby Boy" during a performance on ASAP. Makes us wonder if Sarah is ditching her squeaky clean image for something a bit more risqué (and if boyfie Matteo Guidiccelli has anything to do with it). But tbh, taking on a sexier persona perfectly suits the 27-year-old star. Keep it up, Sarah G!